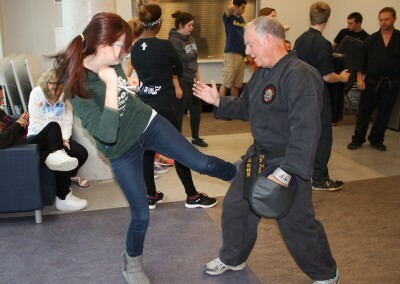 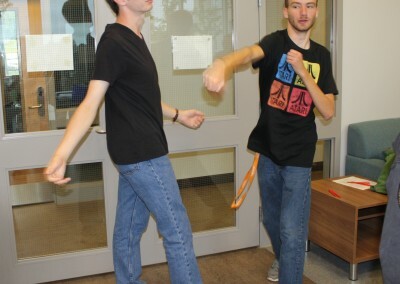 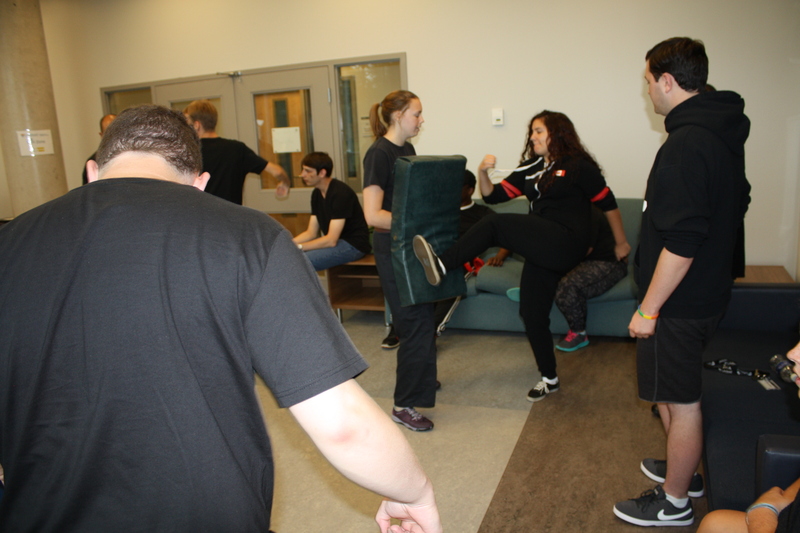 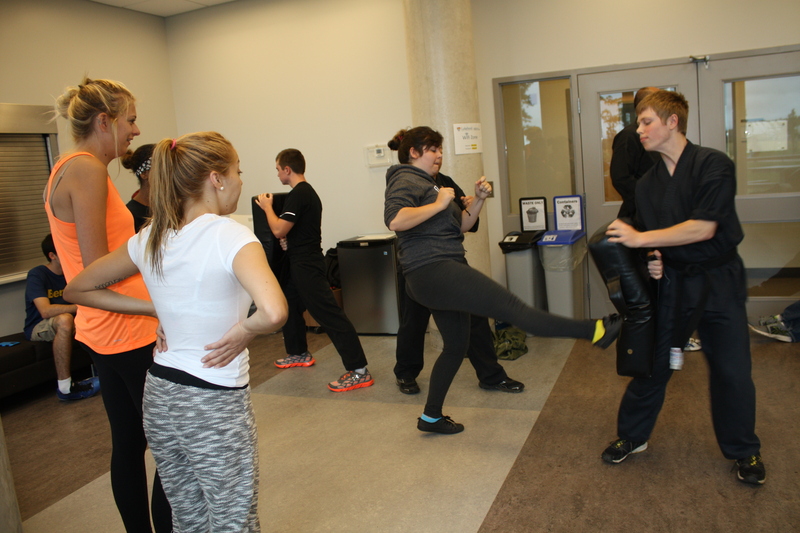 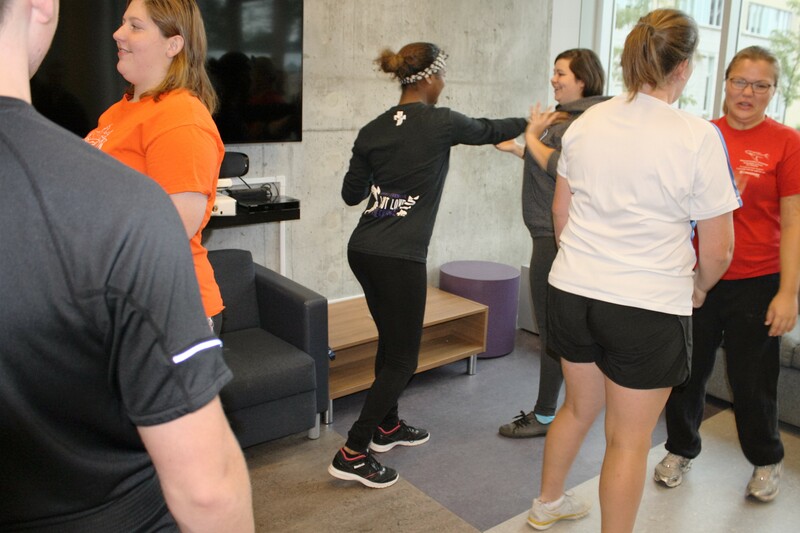 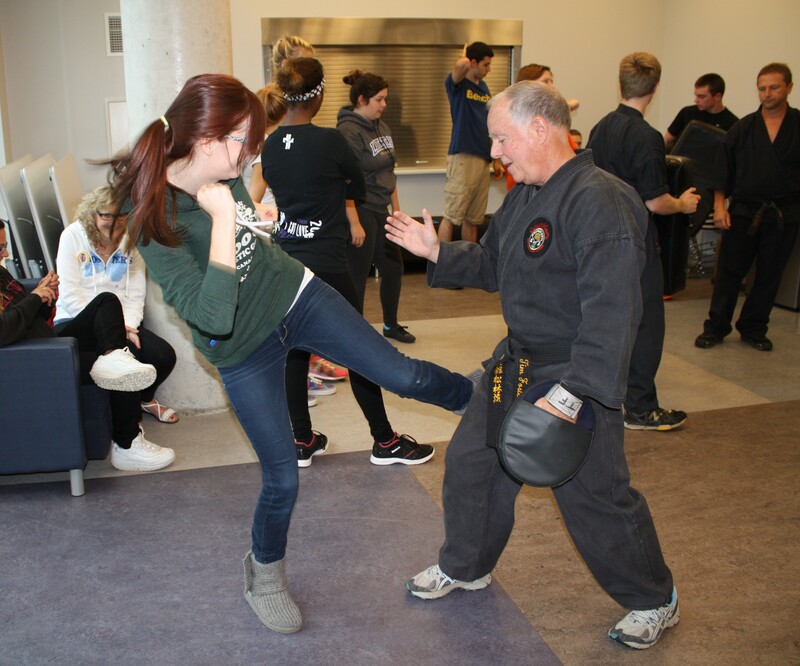 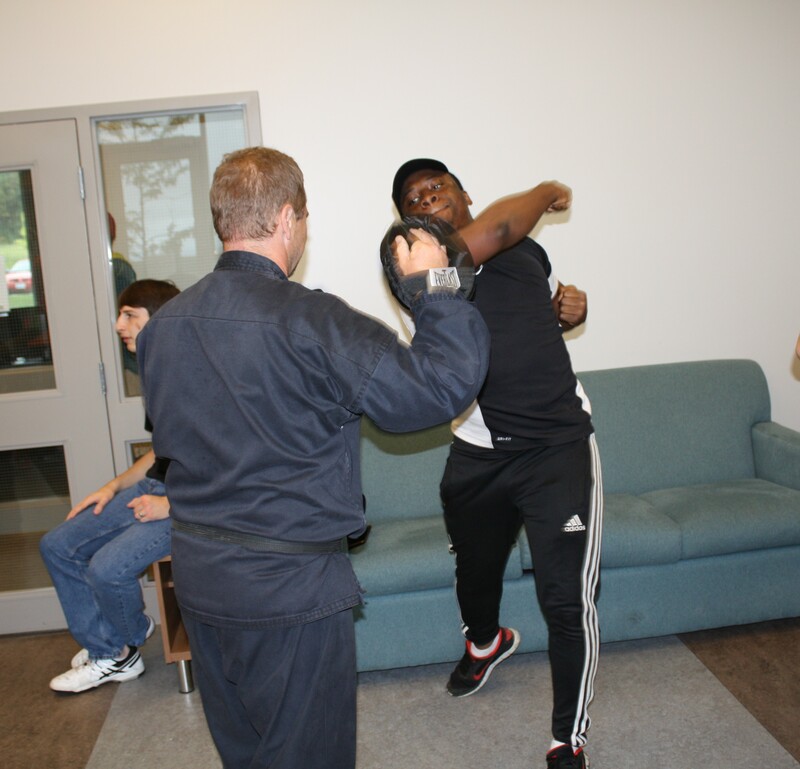 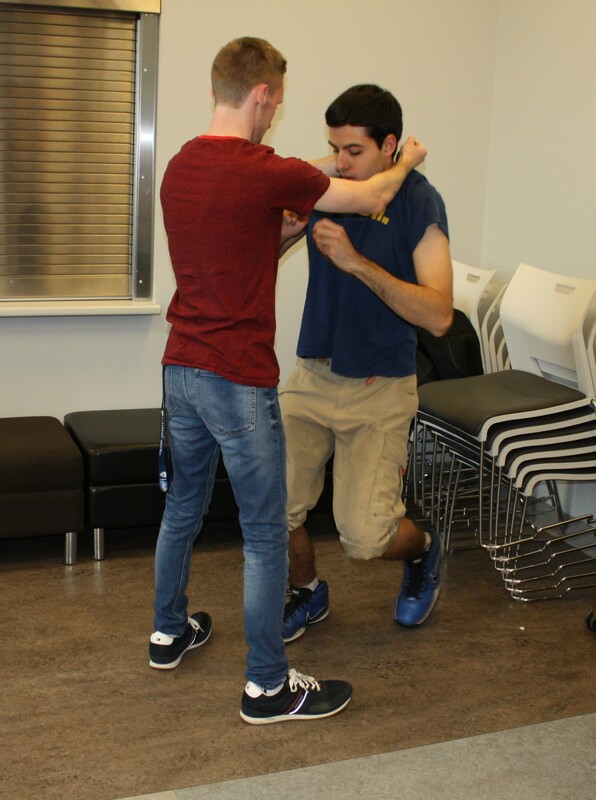 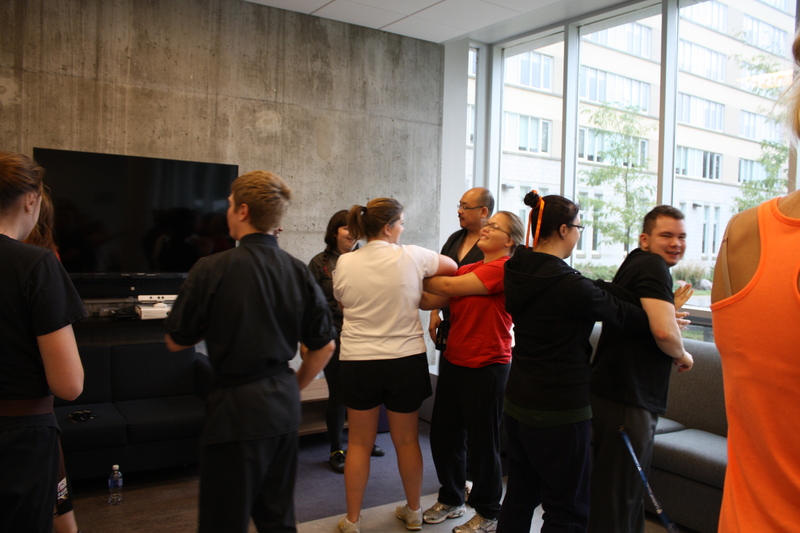 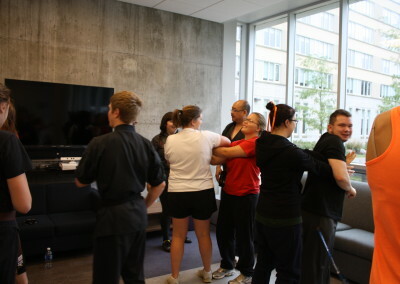 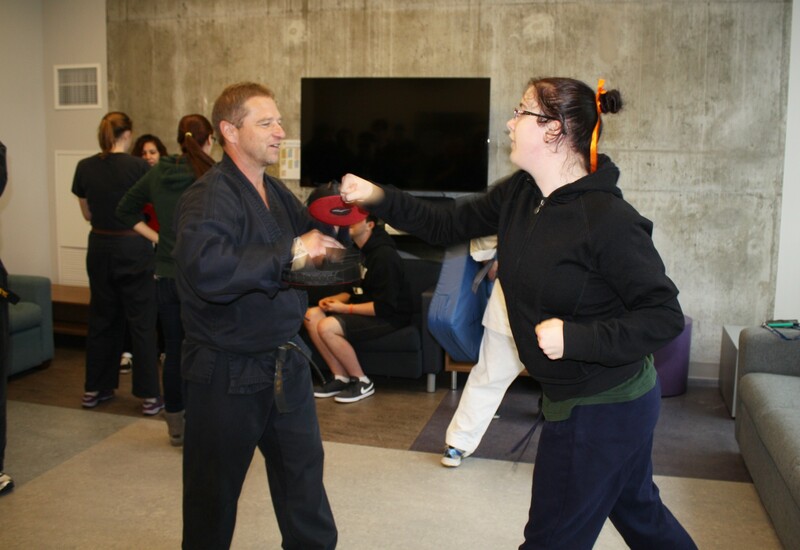 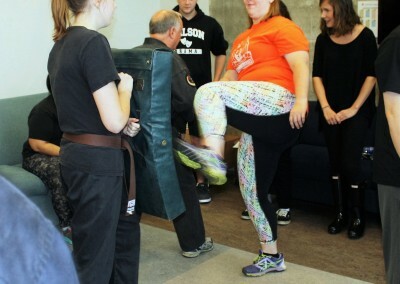 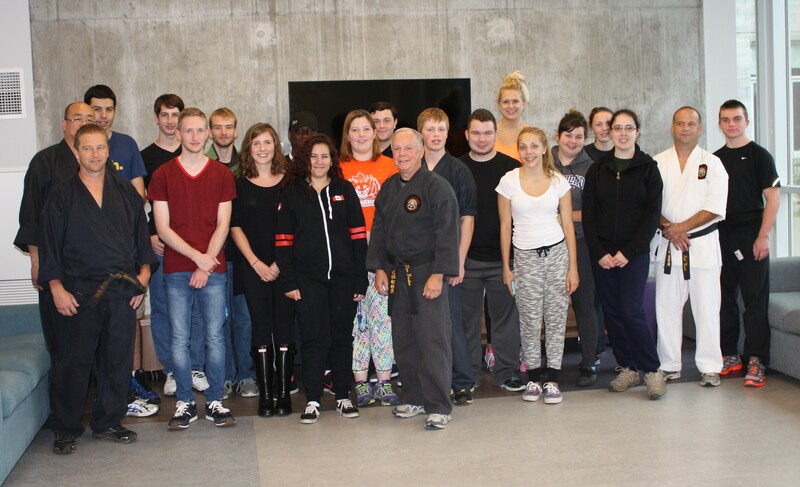 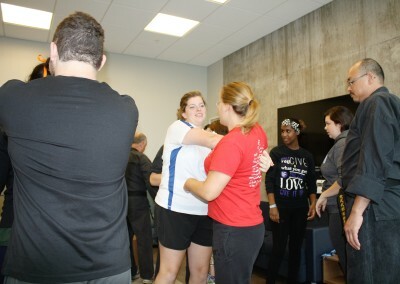 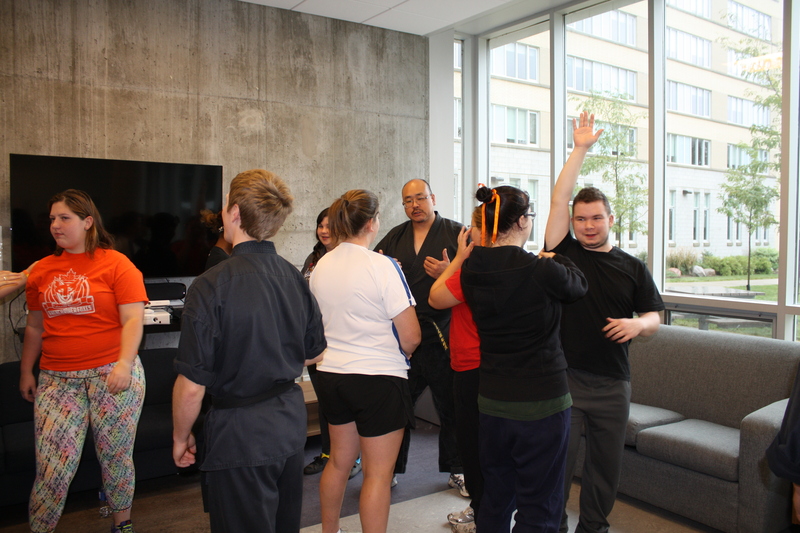 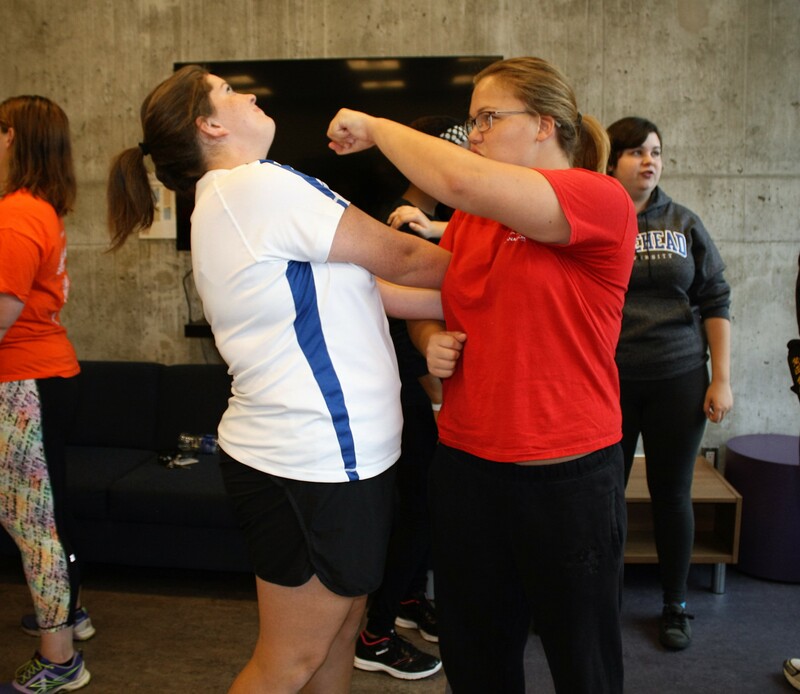 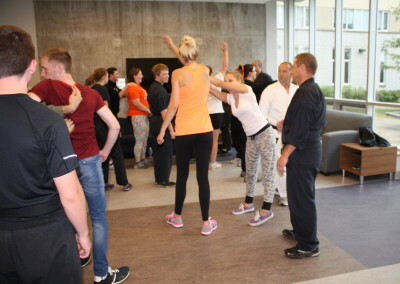 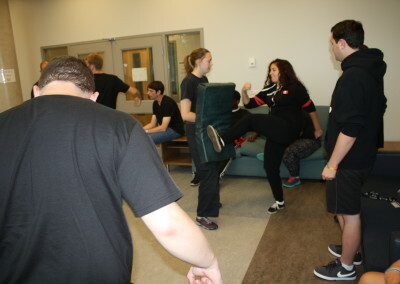 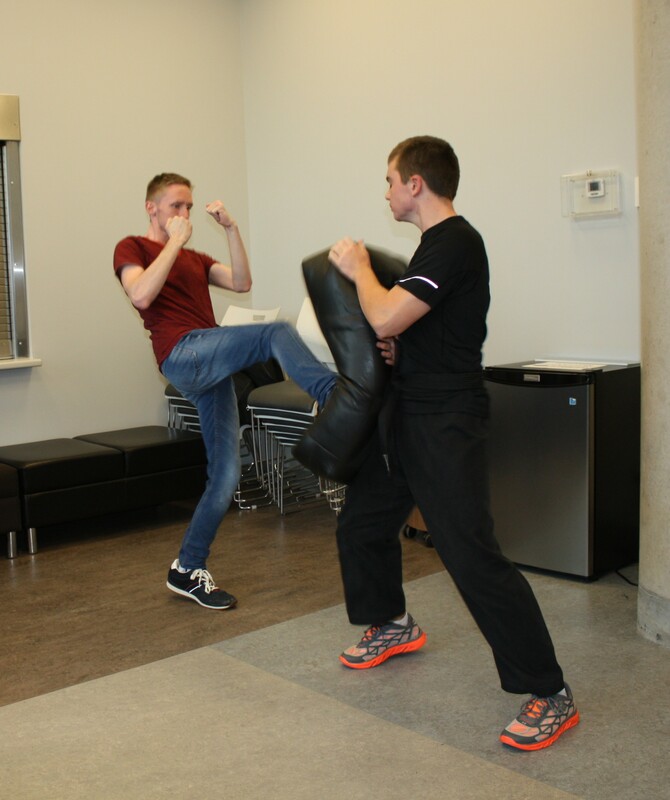 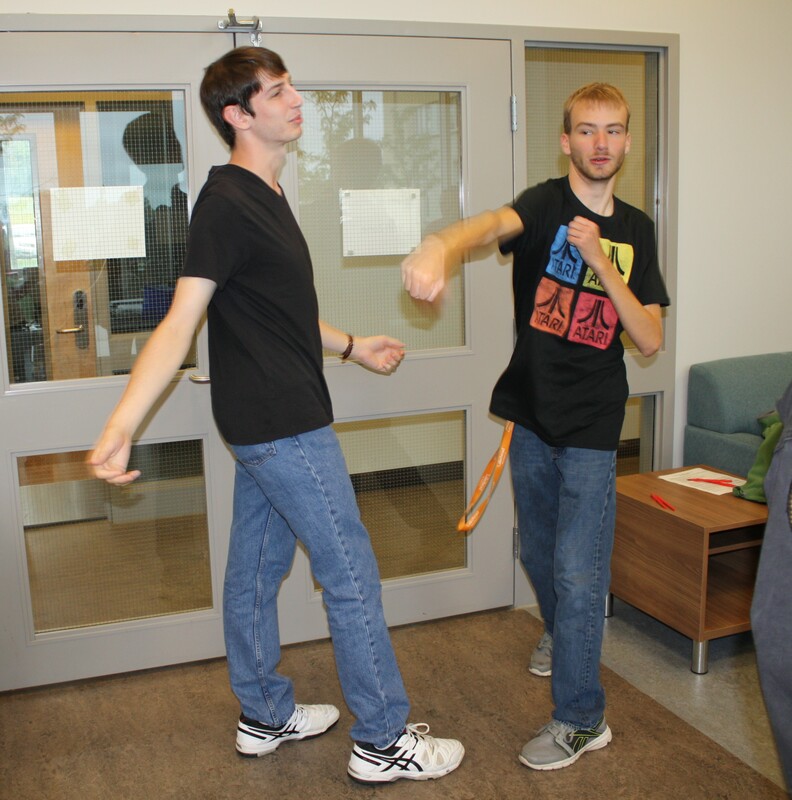 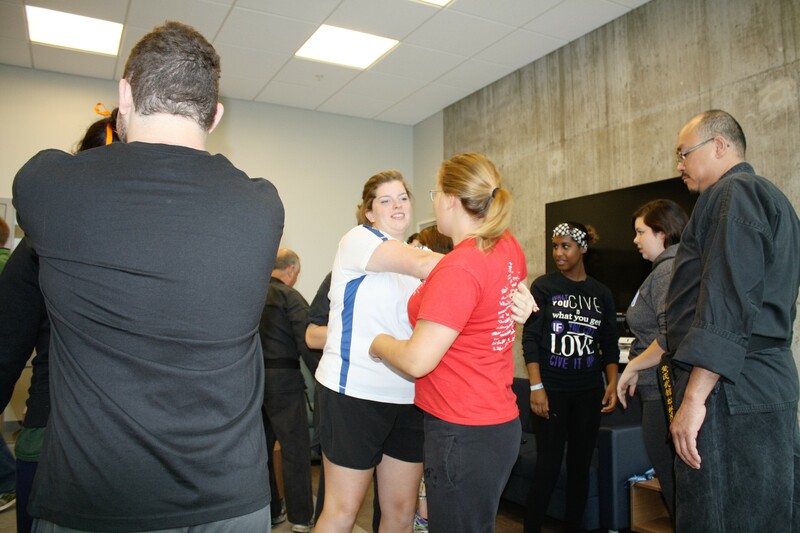 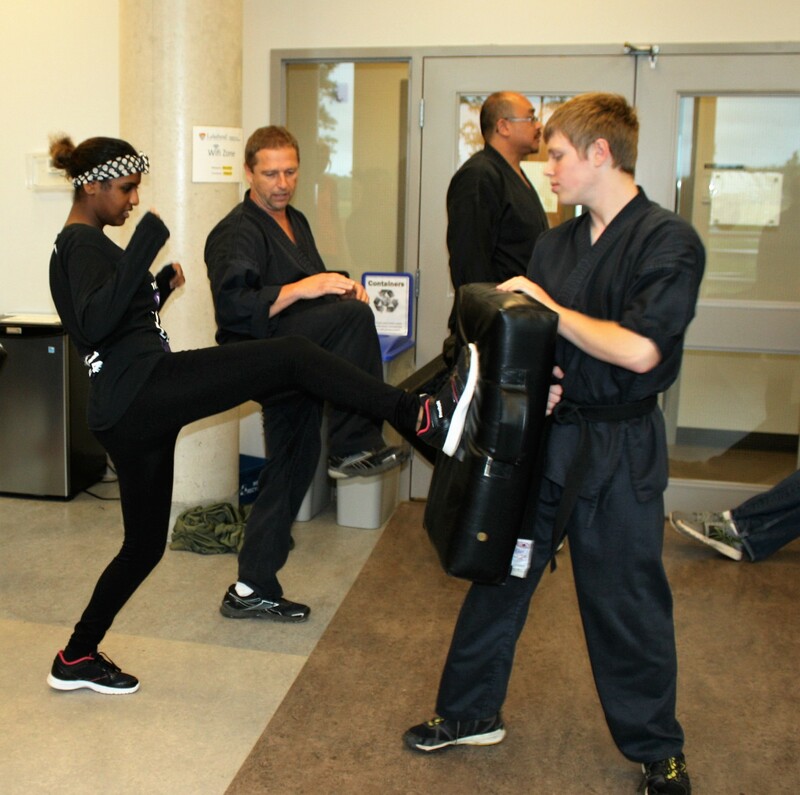 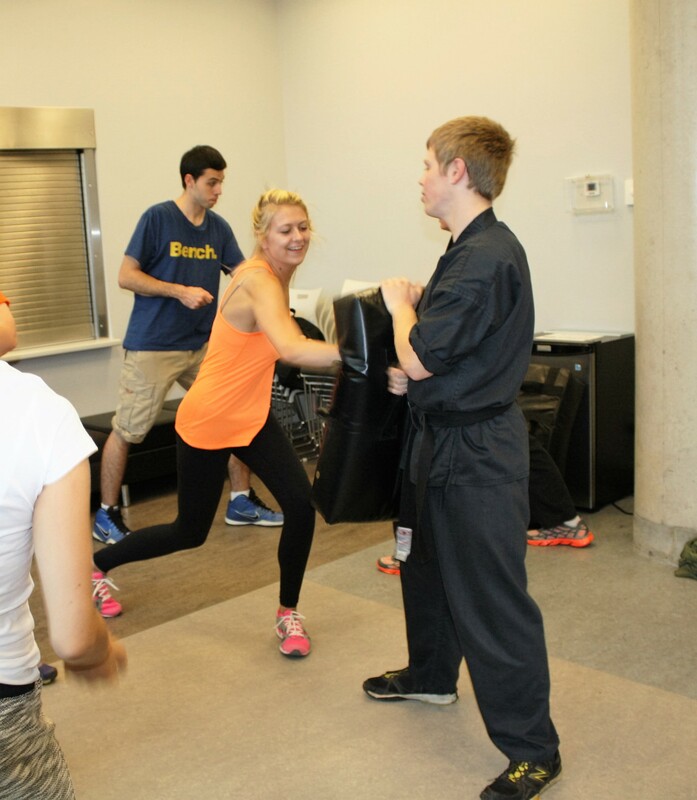 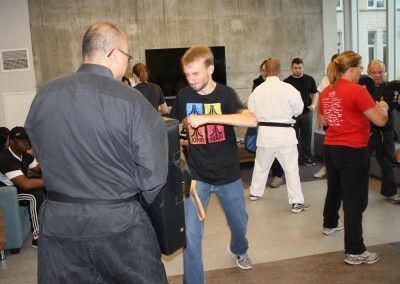 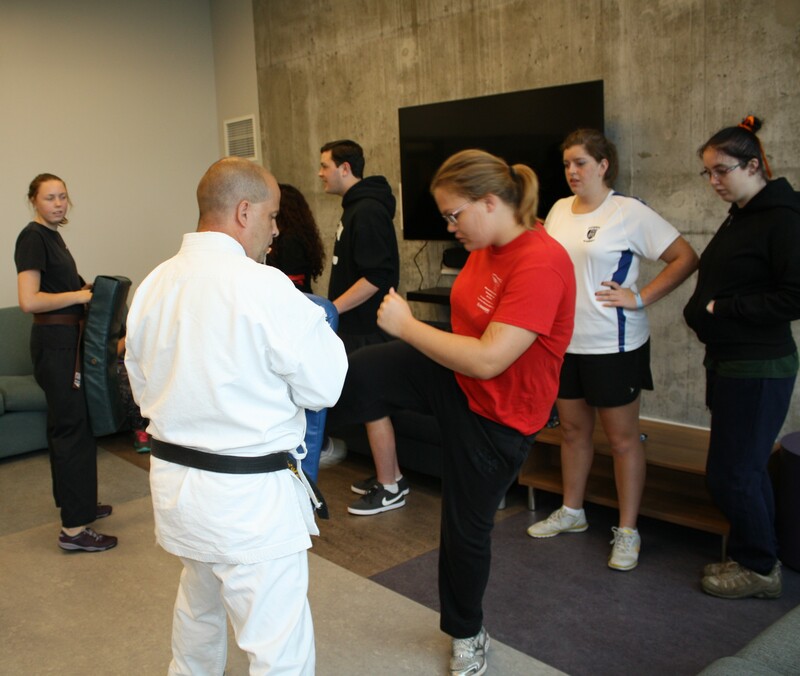 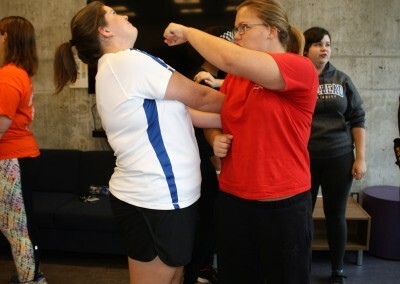 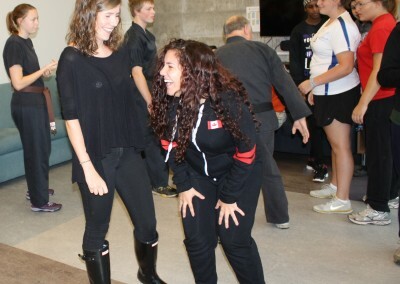 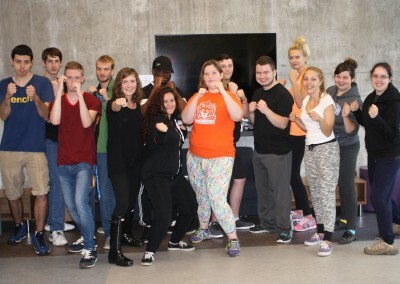 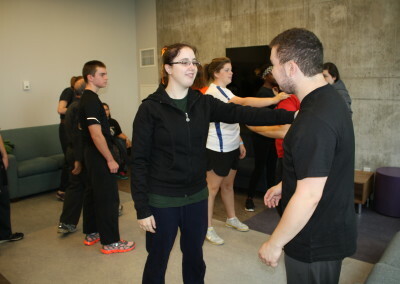 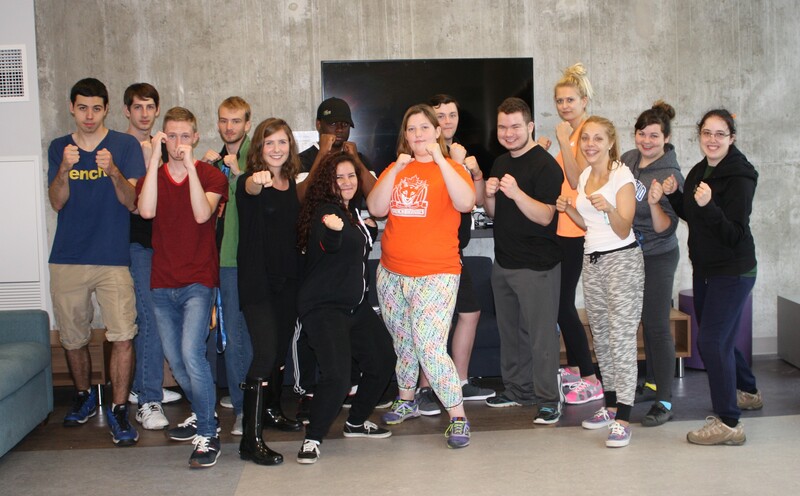 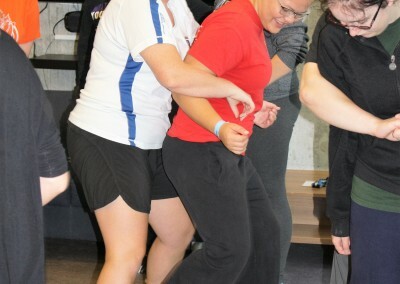 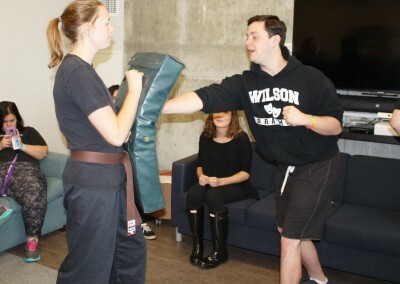 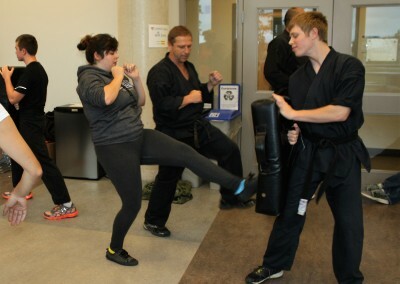 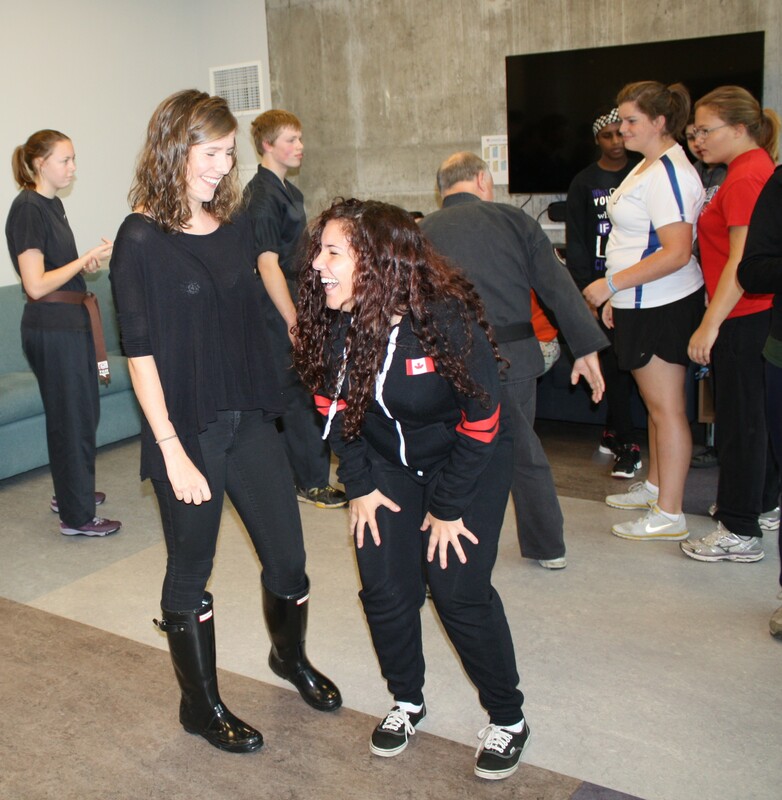 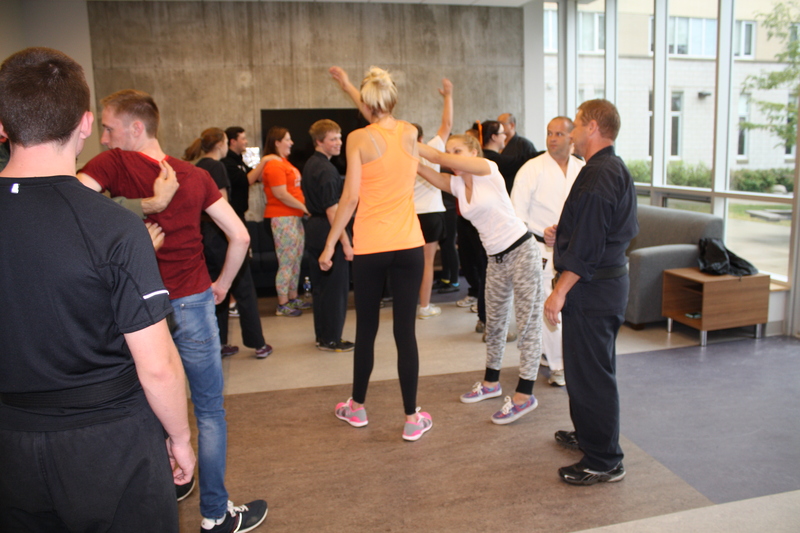 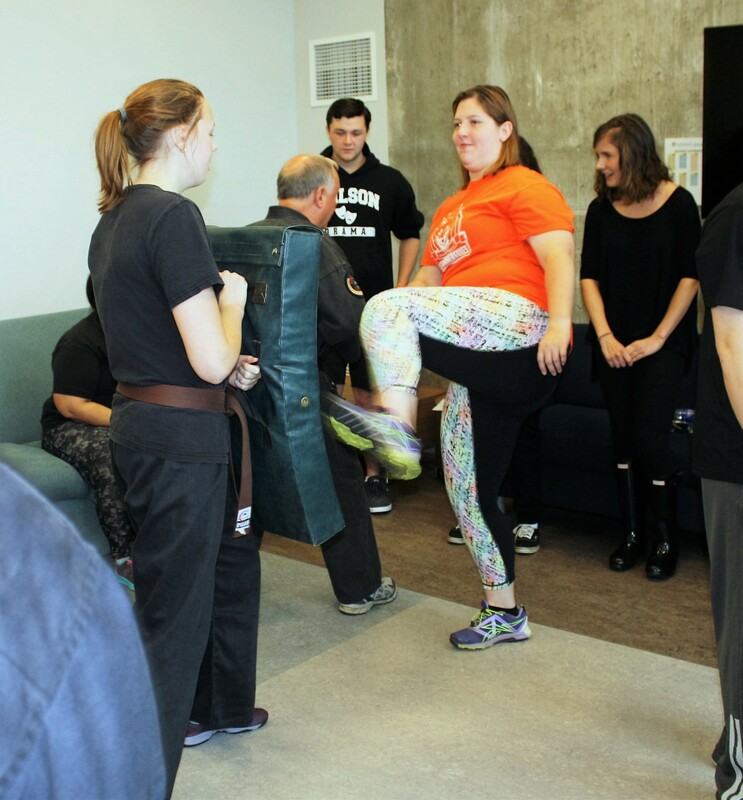 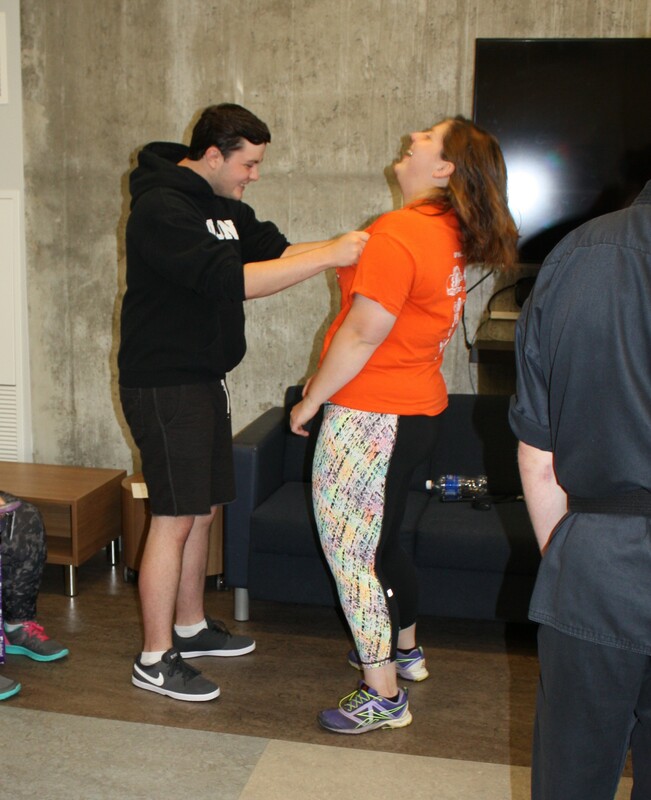 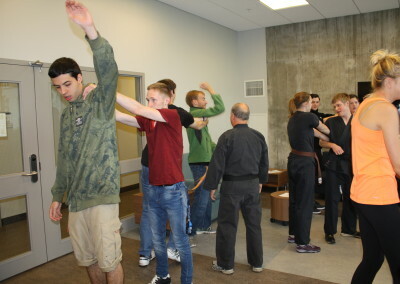 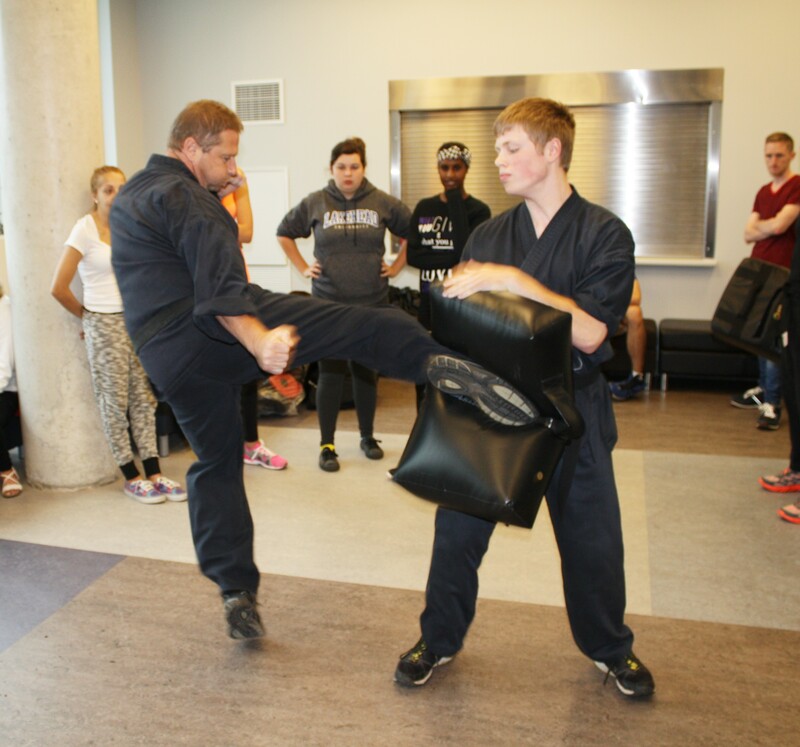 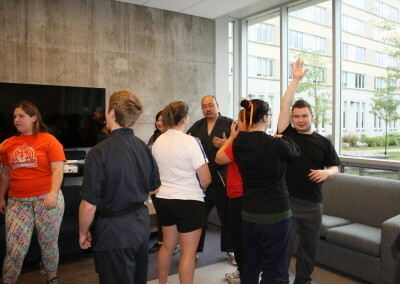 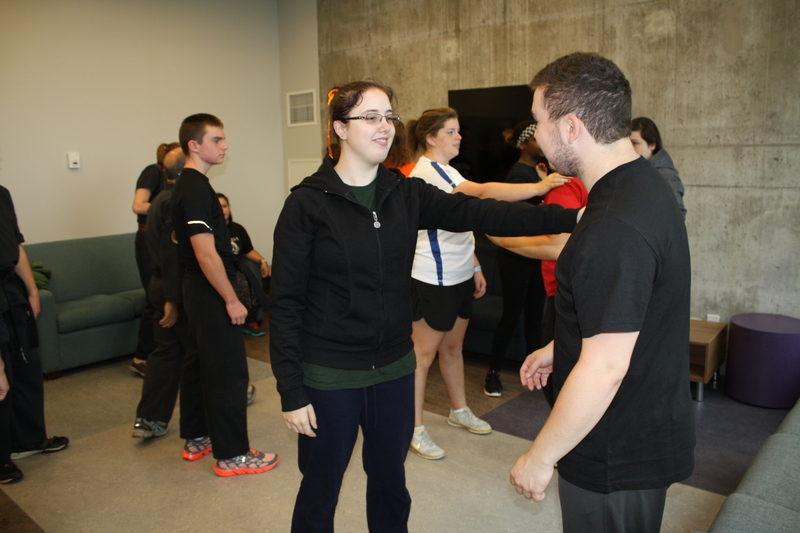 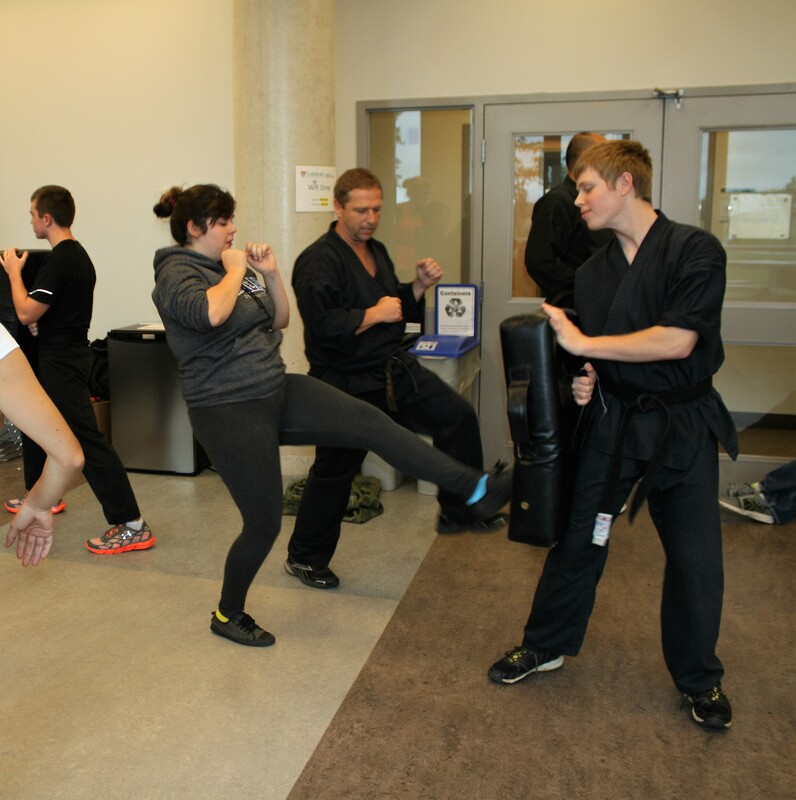 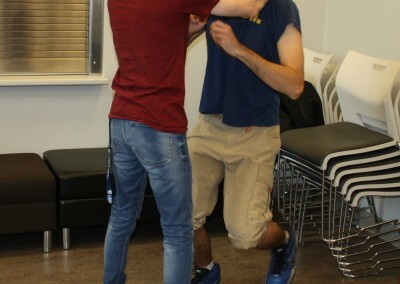 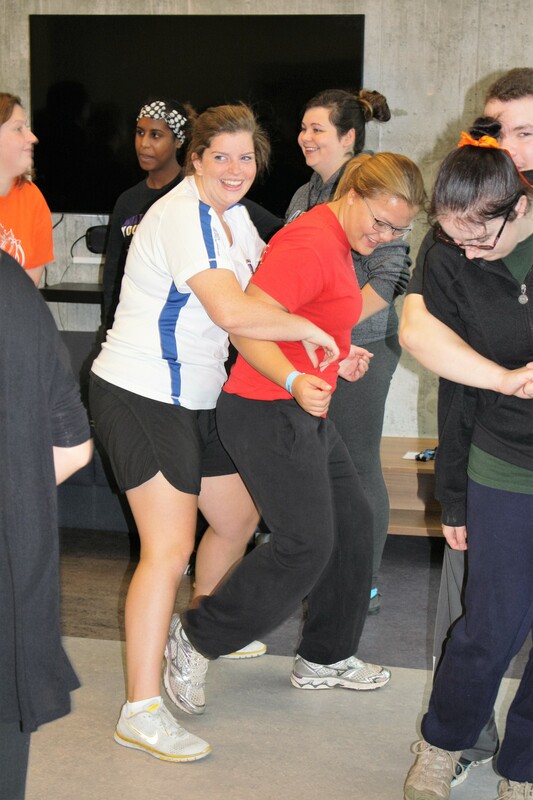 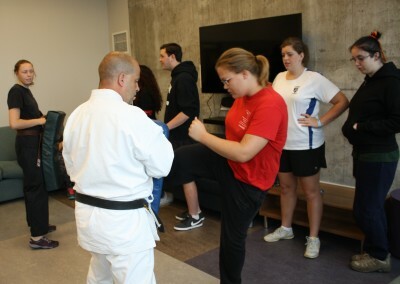 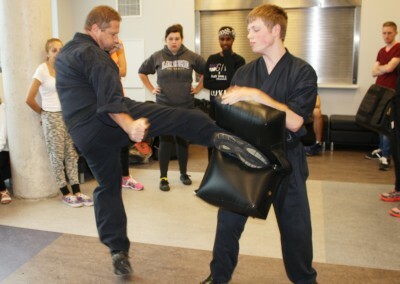 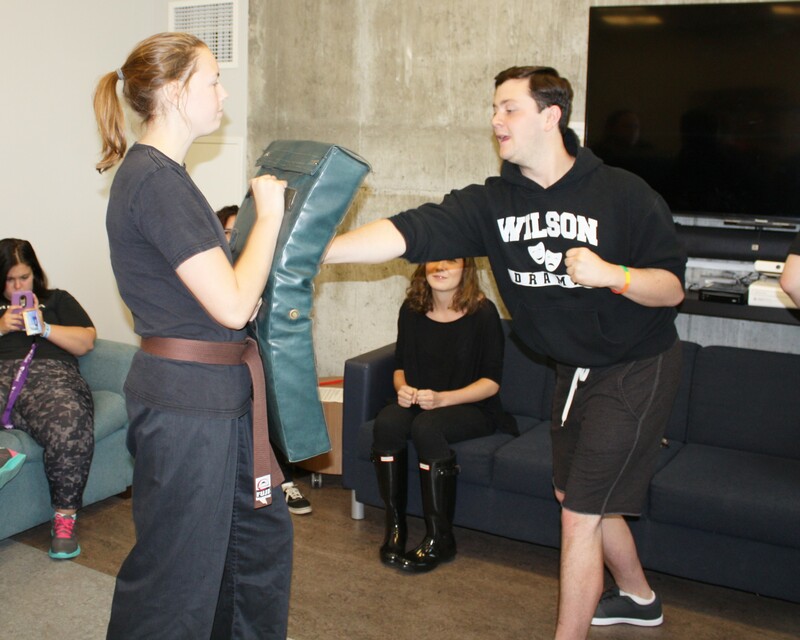 Students at Lakehead University rocked it out with a Gauthier’s Self Defence class on Sunday September 13, 2015. 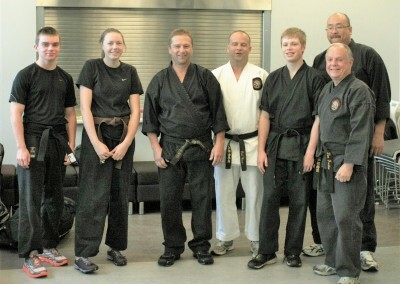 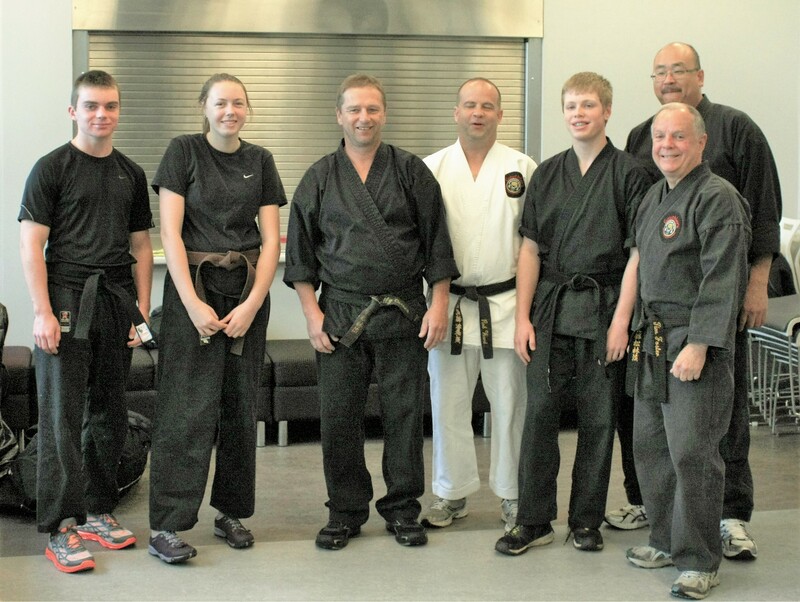 Sensei’s Kelly Curran, Tim Foster, Rob Ward and Soo Lem along with Jr. Black Belt’s Cameron and Spencer and Brown Belt Natalie were at the university to instruct. 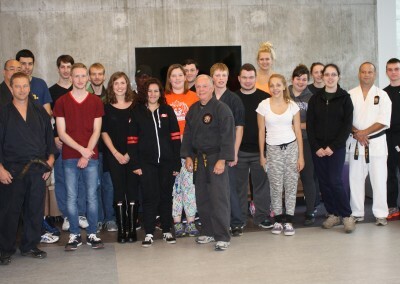 This is the second time that Gauthier’s has provided a class for the university, organized by Casey Egan. 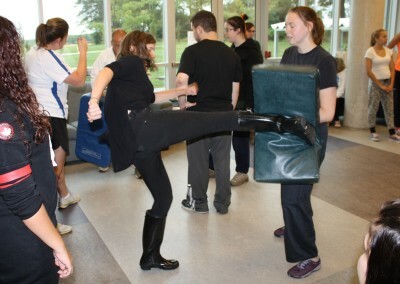 Despite the rain, the choking and the kicking began. 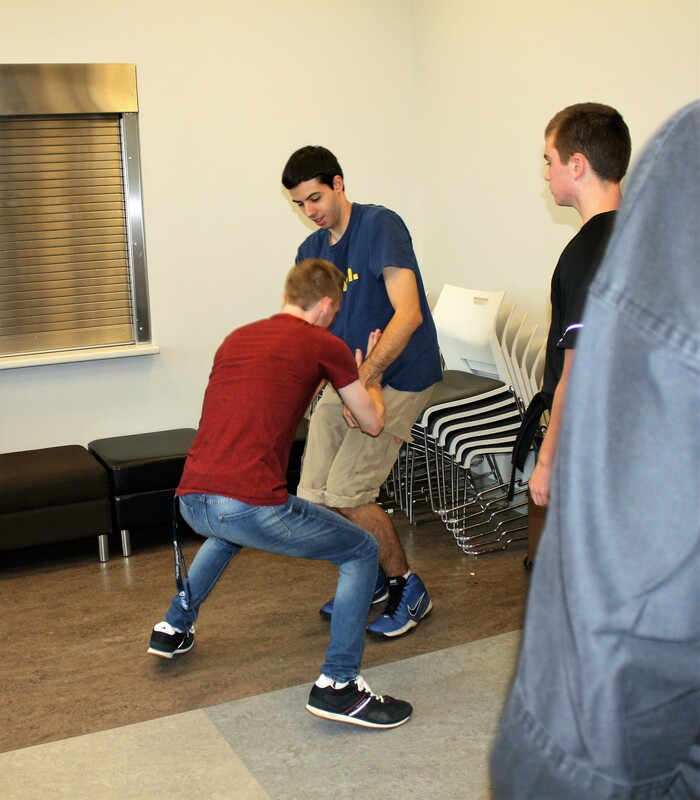 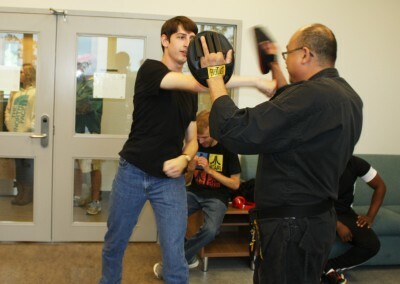 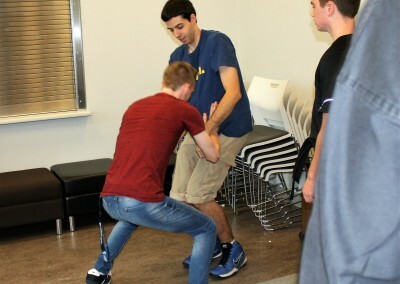 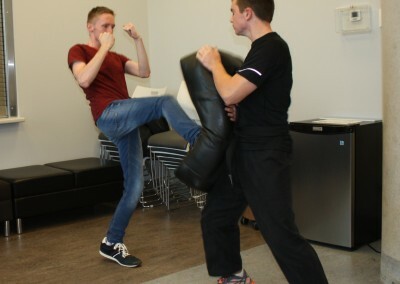 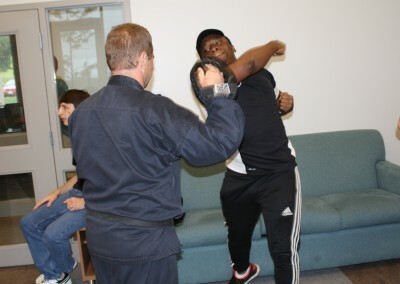 Students were taught the importance of being aware of their surroundings at all times, how to get out of various holds and how to react to certain situations they may face in everyday life. 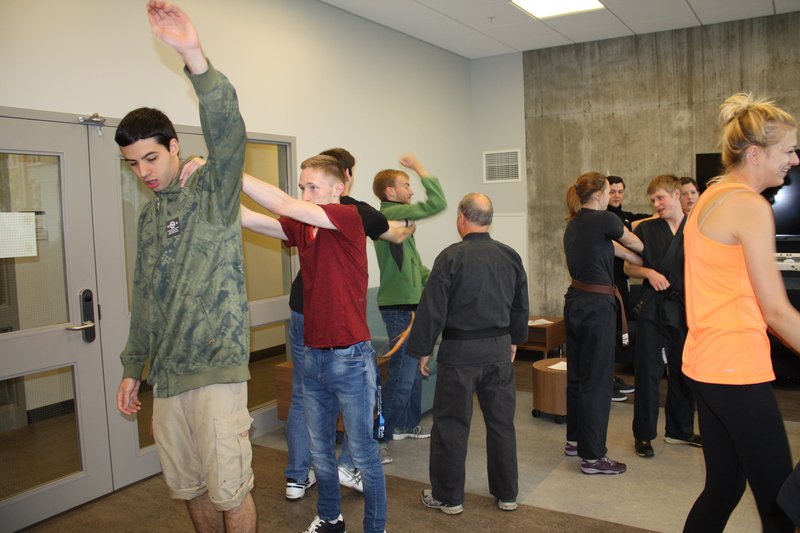 The instructors stressed the importance of self-awareness and thinking ahead. 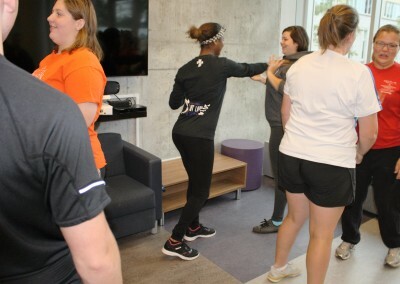 Some points mentioned; don’t go jogging on a trail by yourself, take a buddy, stand tall, look people in the eyes, limit ear bud use and hoodies while out on your own, be conscious of your drinks while in a bar or out in public and when leaving be aware of your surroundings and who is around you.